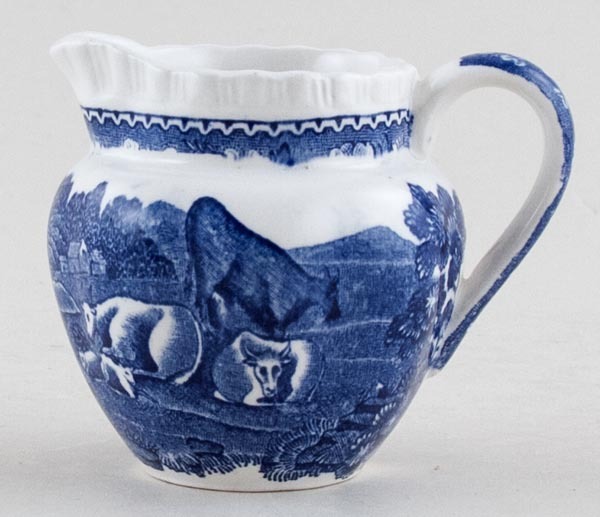 Delightful very small jug with gadrooned rim. The earlier version of this pattern with cows rather than horses. Backstamp: Adams England. A little crazing otherwise excellent condition.